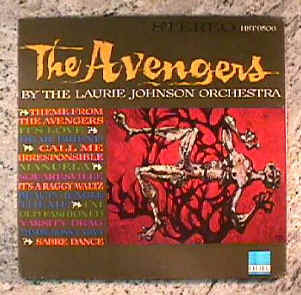 A bit of music trivia: the Avengers Theme music is also known as: The Shake (1965) by the Laurie Johnson Orchestra. 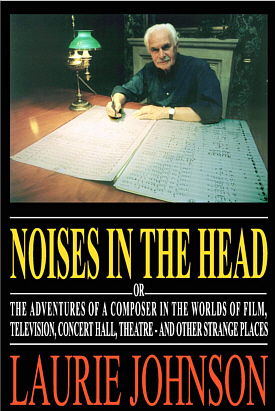 Laurie Johnson composed the tune, Brian Clemens wrote an English lyric and Leo Birnbaum, a viola player in the orchestra, translated it into German. The title was "Mein Liebling, Mein Rose"™. For the recording session Mike Sammes of the Mike Sammes Singers fame, took on the persona required for this musical subterfuge. Strangely enough, the impact of the featuring of the record in that one episode resulted in the necessity to release a commercial 45 record of the song. Fans from all over fell under its strange spell. Even Kim Novak wrote to Laurie Johnson, from the States, requesting a copy of the dastardly confidence trick. From start to finish, the song and recording had to be accomplished in a matter of days to be ready for the episode. The name "Deutsche Phon"™ was a fictional record company name thought up by Brian Clemens for the label. Visit the Primo source for Avengers music and sound effects! The Avengers Sound page by Linus Törnquist. A huge site for Avengers sound clips. A Chorus of Frogs (Sounds like the Avengers) - Mobile phone tone downloads and sound files. Television Tunes http://www.televisiontunes.com/index.html Here is another site with downloadable Avengers and other music. The Man From U.N.C.L.E. (1992) - Cult TV Classics - Laurie Johnson version - Silva Screen Records Ltd. The Cult Files (1996) - Laurie Johnson version - Silva Screen Records Ltd. The Avengers: Music from and inspired by the Motion Picture (1998) - big ear music - DCC Compact Classics, Inc.
A place for a huge collection of audio and video clips of Avengers and more! Note: Since many of the music selections will be found on the Avenging Taglines site, The Avengers Soundpage, and others, I will be discontinuing many of them on mine. Wav theme and incidental versions from The Avengers Soundpage by Linus Törnquist at: http://members.tripod.com/avengers_soundpage/. Avengers Themes Emma Peel B&W Title Theme and Emma Peel B&W Epilog. Avengers Themes Emma Peel Color Title Theme and Emma Peel Color Epilog.